Artech Infosystems | Software Engineer /Developer Required | Fresher Jobs | Date: On 3 December 2012. BE/ BTECH (IT, CSE, ECE)/ MCA required in Artech Infosystems. Education: BE/ BTECH (IT, CSE, ECE)/ MCA from a recognized University. Posted in Computer Science, Electronics and Communication, Freshers, IT, Job After Btech, MCA, Without Experience. Tags: Artech Infosystems, Date: On 3 December 2012., Fresher Jobs, Required, Software Engineer /Developer on November 28, 2012 by kavita joshi. MPPTCL MP Power Transmission Co. Ltd. | Govt. Jobs | Programmers Required | 09 November, 2012. BE/ BTECH (Computer Science/ IT) required in MP Power Transmission Co. Ltd.
Educational Qualification: BE/ BTECH (Computer Science/ IT)/ MCA from a recognized University. Posted in Apply online, Computer Science, Government Job, IT, Job After Btech, MCA, With experience, Without Experience. Tags: 09 November, 2012, Govt. 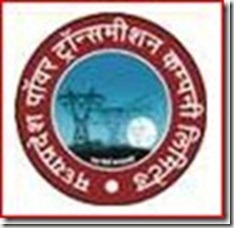 jobs, MP Power Transmission Co. Ltd, MPPTCL, Programmers, Required on October 19, 2012 by kavita joshi. BPC Bharat Pumps & Compressors Ltd. | Govt. Jobs | Mechanical Engineer Required | Last Date: 26 October, 2012. BE/ BTECH (Mechanical) required in Bharat Pumps & Compressors Ltd.
Education: BE/ BTECH (Mechanical) from a recognized University with 60% marks. Posted in Government Job, Job After Btech, Mechanical. 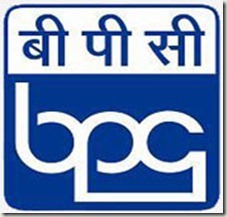 Tags: 2012, BPC Bharat Pumps & Compressors Ltd., Govt. jobs, Last Date: 26 October, Mechanical Engineer, Required on October 16, 2012 by kavita joshi. Bebo Technologies Pvt. Ltd. | Java Trainee Required | Fresher Jobs | July 2011 | BE/ BTECH/ MCA. BE/ BTECH (Computers)/ MCA required in Bebo Technologies Pvt. Ltd.
Bebo Technologies is a leading IT software solution provider and ISO 9001:2000 compliant IT services company. We offer outstanding services in the areas of Software Development, Quality Assurance and Support. Founded in 2003 with a clear focus on high quality, time bound delivery and a cost-effective business structure, bebo Technologies has excelled at helping clients better manage their business and improve the quality of their deliverables. Educational Qualification: BE/ BTECH (Computers)/ MCA from a recognized University. Knowledge of Core java/ Servlet/ Jsp/ Oracle and/or SQL Server databases. Excellent coding skills along with good Problem solving ability. Technically sound to learn and grasp new java/j2ee technologies. Knowledge Spring is preferred. Posted in Computer Science, Freshers, Job After Btech, MCA. Tags: BE/ Btech, Bebo Technologies Pvt Ltd., Fresher Jobs, JAVA Trainee, July 2011, MCA, Required on July 27, 2011 by kavita joshi.